Blizzard, the makers of Warcraft, World of Warcraft, Starcraft and Diablo franchises are at it again. At BlizzCon 2014 they had hinted at a special announcement. 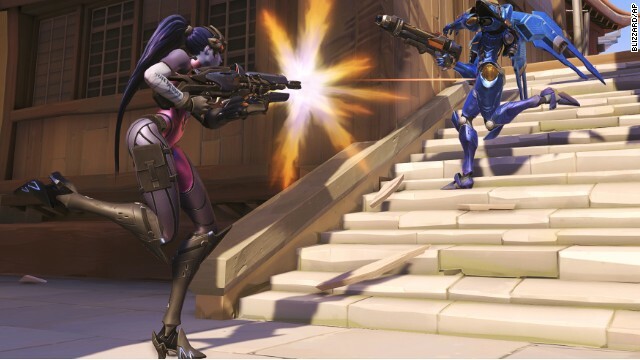 Many people anticipated an expansion pack to an existing game but Blizzard came out with the news of a new game – Overwatch. They also stunned the audience that the game was very well underway in development and that it wouldn’t be long until release. This was quite shocking because new games in the video game industry are typically announced or leaked early in development. After a cinematic trailer teaser, the demonstration continued with an actual gameplay demo. This game is indeed well under way. Jeff Kaplan, the game director, stated that a beta version of the game will be made public in 2015. Overwatch is a team based shooter game (think Team Fortress) for PC’s. It is cartoon like and set in the future. Basically the underlying theme is a team of good guys taking on a team of bad guys. At one point in the past after thoroughly defeating evil, Overwatch’s influence diminished and the team was disbanded. Now, guess what, evil is back and rising once more. It’s hero time!